ARE THE "PROPHECIES" OF EDGAR CAYCE REAL? Edgar Cayce was an excellent medium, he channeled the Masters of Light, but most of the messages he received from them were distorted due to his preconceptions. In addition his tremendous ego also allowed him to channel spirits of error and this was the source of his senseless "prophecies." According to the Masters of Light The future is only known by the Absolute and Time travelers and Edgar Cayce was not a time traveler. Edgar Cayce’s "predictions" according to the way he formulated them, can be applied to different facts. On the other hand, there are also "admirers" of Edgar Cayce that adapt his "predictions" to certain facts (these admirers, naturally, are helped by spirits of error who suggest them certain "coincidences"). Among the prophetic absurdities of Edgar Cayce are, for example, The return of Christ (he confused to Jesus with the Christ, which is a Divine Energy because Divine Energies don't embody. As for Jesus, he will not "return" because at the moment he is Solar Logos of the Earth and Logoses don't embody, except for very exceptional circumstances that are not given); "Changes in the terrestrial axis around the year 2000"; “A new Land will emerge in the outskirts of the oriental coast of America, they will be discovered outside of the bikini coast; this will be the mythical Atlantis"; "Destruction of Los Angeles, San Francisco, the destruction of Manhattan and the disappearance of New York due to big earthquakes"; “Volcanic eruptions in tropical regions and an increase of volcanic activity in the Pacific border". No wonder why Cayce was often at odds with himself over his personal experiences versus his religious teachings. When he was thirteen years old, he had an experience that had impact on him forever: The apparition of an angelical being, a beautiful lady who asked him what he yearned the most. Edgar answered that he wanted to assist others, particularly to sick children. That apparition was a holographic projection of the spirits of error making focus, because the Masters of Light don't use these tricks to impress. In that time, hypnotism and theatrical shows were very popular. A traveling hypnotist called "Hart, the laugh king!" arrived to the theater of Hopkinsville with his comedy show and hypnotism. Hart was successful and conscientious. When finding out the ailment of Edgar, he offered to cure him. In a first session, Hart hypnotized him and he suggested he would restore his voice. Surprisingly for the audience, Edgar responded with a normal tone to the questions he was asked. However, his brain didn't accept the post-hypnotic suggestion to continue speaking clearly after the session. Hart repeated the session several times, always with the same result: Asleep, Edgar spoke in a perfect way; awaken, he returned to his previous murmur. Knowing that certain patients under hypnosis showed clairvoyance abilities, a specialist from New York, interested in his case, advised that the experiment was repeated, but this time, he requested that Edgar explains his own problem instead of only suggesting him he restore his voice. Cayce chose to undergo through a last tentative under the supervision of a self-taught of the town, Al Layne, who practiced hypnotism and took osteopathy courses by correspondence. In addition, he proposed to enter in a similar state that allowed him to memorize his school books in his adolescence. When he was sleeping, Layne asked him which was the cause of his ailment and the way of cure him. Cayce answered! He defined the problem as a psychological dysfunction that was producing a physical condition and he recommended that, while he was unconscious, he was suggested to intensify the blood flow in the affected areas. Layne respected the instructions. Layne could observe how the superior part of the chest and the throat of Edgar turned to scarlet color and hot to the tact. Edgar stayed in this way for some twenty minutes, in silence; then he requested that, before waking him up, he was ordered to regularize the blood flow. Layne followed these indications and, awaken, Cayce expressed himself perfectly, healed from the ailment he had suffered during one year. Cayce had an engram that provoked his ailment and this engram stopped affecting him when he was hypnotized. Then, it was Cayce’s Thetan the one that gave the solution indicating to increase the blood flow as a post-hypnotic order. Needless to say that it was a very light dysfunction, otherwise he wouldn’t have been able to heal in a simple way. For years Layne suffered gastric problems that the doctors were not able to alleviate, and he thought he could request a perusal about it .He was sure that his medical knowledge would allow him to identify any therapeutic advice that Cayce could mention. In spite of his skepticism, he accepted, because he was compelled since Layne had helped him to recover his voice. The perusal was carried out in similar way to the previous one. Asleep, Edgar described the condition thoroughly and he prescribed certain medicinal herbs, a nutritious regime and physical exercises. In one week, Layne had improved so much that he was even more enthusiastic with the ability of Cayce. He encouraged him to pay attention to his ability and try to solve other cases. Here Cayce channeled to the Masters of Light who prescribed the way to alleviate the ailment. The advices given by Cayce to treat ailments had effectiveness because he channeled indeed entities of Light. Regrettably, due to his ego he also channeled to spirits of Error and that is the source of his senseless prophecies. Interlocutor: Now I’d like to know something about Edgar Cayce “the sleeping prophet" many people have asked me about him. I believe that I asked you in a session if he was a time traveler and you confirmed that he was not a time traveler. 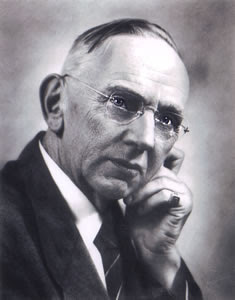 Ruanel: Just like many people, Edgar Cayce has received messages of Light, but in part he has distorted them due to his self-centeredness and his preconceptions. It has already been said how dangerous is to mix truths with falsehoods, because people cannot distinguish one from another and then they take falsehoods as truths. Interlocutor: I have read this person's "prophecies" and they are really nonsensical. Ruanel: They are his preconceptions. Besides, he was also a victim of the spirits of error, even more in the last period of his life. Interlocutor: Is there something more to say about Edgar Cayce? Ruanel: No, what has been said is enough. This entry was posted at Wednesday, June 24, 2009 and is filed under Who are they? . You can follow any responses to this entry through the .